The Assassin build focuses on a melee gank combo assassin playstyle as a Nightblade. The build is balanced around No Champion Points Campaign, but also works perfectly in the Champion Points campaign. We have really good survivability with our stats, plus we have some really strong combos available to kill off enemies and very fast ultimate regeneration. I will present two different setups, both setups use Bone Pirate's Tatters and then you can either choose between Spriggan's Thorns or Perfect Disciplined Slash and Agility setup. I recommend testing out both setups and use the one you prefer more. We are using the Blood Spawn Monster Set, this set is great as it gives us additional Ultimate regeneration to get our Incapacitating Strike ready faster, which is needed for our main burst combo. No changes to the build in the Wrathstone DLC. As you can see we have insane recovery stats on both setups, so you should be able to sustain pretty good. More important is that you learn how to manage your Magicka properly, because we use this to escape with either Cloak or the Shade. 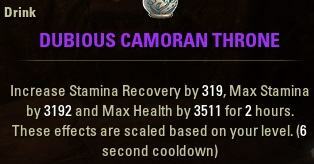 Bone Pirate and Dubious Camoran Throne synergize well together and gives us a lot of Stamina Recovery and Max Stamina stats. Rally, Relentless Focus, Weapon Damage Enchantment and Tristat Potion were active. 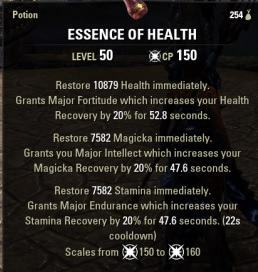 Keep in mind, screenshot was taken OUTSIDE of Cyrodiil, so our health is lower without battlespirit. Note: The screenshots are from the Murkmire DLC, stats might slightly vary due to rebalancing changes in Wrathstone DLC. You have the choice of two setups. Bone Pirate is always used as a base set to give us nice Stamina Recovery and Max Stamina. Then you have the choice of either running 5x Spriggan or Asylum & Agility. As Monster Set I do recommend running Bloodspawn, it gives us nice Resistance buff and also helps generating Ultimate fast. 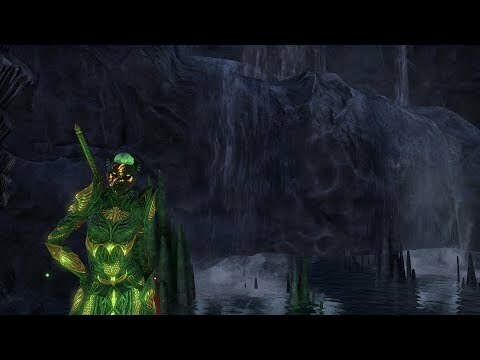 Eternal Hunt: For Cyrodiil you can also use Eternal Hunt which can be a very nice set to help escaping or root people to the ground. Well Fitted? I do think 2-3 Well Fitted pieces are optimal to also have some sort of dodgeroll and sprint cost reduction, which is good because you dodgeroll a lot as Nightblade. Master Bow: If possible, get one in infused, because on top of the extra weapon damage we get anyway from the bows set bonus, we can now put a Weapon damage enchantment there and boost it with infused, giving us a total of over 700 Weapon damage which is crazy. Also works with other traits but you will get less weapon damage. Bone Pirate Chest: An Impenetrable Chest drops from the quest in Blackheart Haven, the set piece is called Bone Pirate’s Pillaging Garb, the quest is called “Jumping Ship”. Asylum Greatsword: This weapon is nice, because it offers a lot of extra Ultimate regeneration and helps us getting Incapacitating Strike ready faster. Backbar Ultimate: I like to slot Temporal Guard there, it gives us 8% damage mitigation thanks to Minor Protection while slotted and we can escape pretty tricky situations with this easily. Mass Hysteria: You could also slot this skill instead of the Shadow Image. Why Executioner? 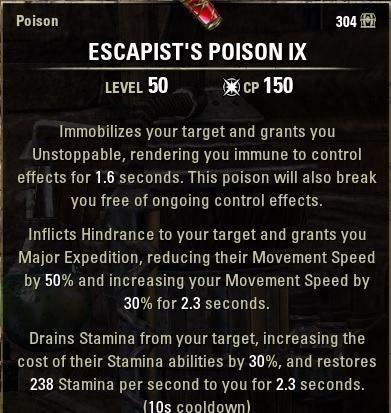 We use this over Killers Blade because we are using the Asylum Greatsword and therefore need Executioner to get it to proc. Why so many points in Attronarch Constellation? We want to get the Tactician Perk, to get 10% more damage on enemies with the Exploiter Perk from the Ritual Constellation. The build video will come with the Elsweyr Chapter release.